A government commissioned report has suggested a serious overhaul to the way in which young drivers are trained and licenced in the UK, and it estimates the changes could reduce the number of young driver casualties by more than 4000 per year, saving £224m in costs. The changes proposed by the report are radical and arguably draconian – the Transport Research Laboratory (TRL) suggests that there be a stronger emphasis on pre-driver training for under-17s, such as that offered by Mercedes-Benz World and Admiral Young Driver. Furthermore it suggests a 12 month learner stage starting at age 17 with a requirement of 100 hours of daytime and 20 hours of night time supervised practice. Furthermore TRL suggests that, on completion of those requirements along with the theory and practical tests, drivers undergo a 12 month probationary period during which time they must display a P plate, with a night time curfew from 10pm-5am unless accompanied by an adult over the age of 30. There would also be a ban on carrying passengers under 30 for probationary drivers under that age themselves. Additionally there would be a ban on all mobile phone use, including handsfree, and following a successful probationary the current New Driver Act would still apply, meaning tighter licence restrictions – six penalty points would cause the licence to be revoked, as is the case with new drivers now. While the proposed changes seem radical, road safety charity Brake supports the findings of the report. Julie Townsend, deputy chief executive at Brake, says: "…We urge the government to act swiftly and decisively by committing to a full system of graduated driver licensing, to help reduce the danger young drivers pose to themselves and others." 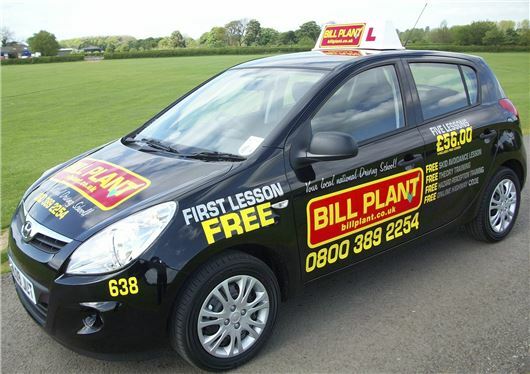 However Kim Stanton of Young Driver, the largest supplier of driving lessons to under-17s said: "Only 9% of our alumni have an accident within 6 months of passing their test, compared to a national average of 20%. That these results have been excluded from TRL's report is very strange, especially as I have personally reported them to the Department for Transport and the Transport Select Committee. "Meanwhile, what the TRL report proposes could be seen as draconian and in all reality, extremely difficult to enforce, potentially just forcing young people off the road with serious knock on effects in terms of individual freedom, the economy and the job market. "We all agree something must be done, and with proven results it seems to me pre-17 driver training should be considered more fully as it can offer a sustainable and measurable reduction in accidents."